Controlling the air flow in your home or building is essential to maintain comfort and health. Bad air quality can lead to a lot of issues and cause extra damages to the structure. When you do not have the right air filtration system in place it causes the air to be filtered out slowly and sometimes it doesn’t work properly. Things like mold and other issues can arise due to poor air quality and filtration. To avoid this and issues that are causes by poor air filtration it is essential that you have the right equipment in place. FAMCO provides air filtration systems to help your home or building have great air quality, and saves you time and money by not having to deal with easily avoidable issues. Our motorized damper is the perfect solution to get your structure running with the right air filtration system, and zone control avoiding all those unwanted problems. 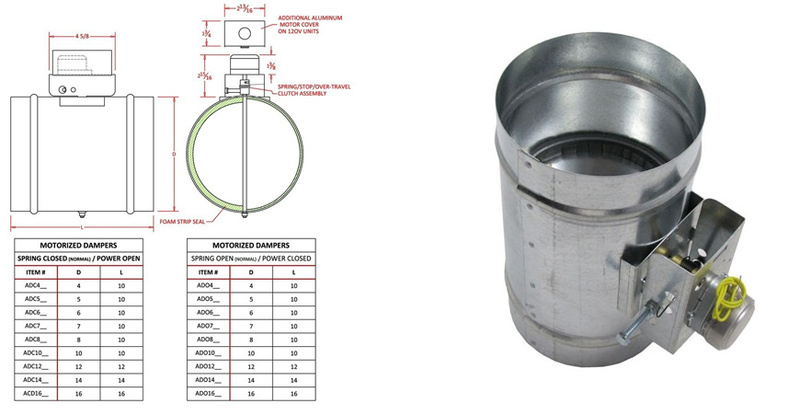 At FAMCO we provide quality HVAC Dampers and products made from excellent materials and workmanship. We also have a variety of different products so you can get exactly what you need with the budget that you have. Our products are built to last so you won’t have to worry about continuously repairing or replacing your vents or dampers. We guarantee that our products will be free of defective materials and poor workmanship. Our motorized damper is among the best on the market, and will help improve your air quality and avoid things such as mold and other easily avoidable issues. We have a variety of roofing products to best suit your needs and help get you up and running, without having to worry about constant upkeep and maintenance. Our motorized HVAC dampers are built to last!